Join us for Fit Fest 2018, a multi-dimensional fitness event. Try out a wide range of fitness programs and visit a variety of vendors at the Zoo’s annual Fit Fest, presented by Juan Acevedo-Mora, Group Fitness Instructor & Coach, and Lupe DeLeon, Group Fitness Instructor. Licensed and certified fitness instructors from all over the state will showcase PiYo®, Pound, Turbo Kick®, Boot Camp, Silver Sneakers, Zumba®, MASHUP, Mixed Fit, Tabata and Yoga. Try out dance with Tucson Movement Arts. Visit Tucson Medical Center’s Kid’s Zone at Expedition Tanzania for a variety of kid-friendly activities including Animal Olympics, inflatable obstacle course & basketball hoop! The Shyann Kindness Project and My Gym will be out with activities. Bubblenado will also be a hit! Receive a wellness check from PCC! This includes resting heart rate, blood pressure, hand grip strength and waist-to-hip ratio. Browse a variety of vendors including chair massage by Cortiva Massage, make-up tips from Aveda and sampling Sweet Leaf water enhancers from Natural Grocers. Check out Top Golf, Wellness Key Chiropractic, Parks Farmer’s Insurance, Terra Essential Oils, Massage Envy, Superior Water Treatment, and LuLaRoe in the Desert. With low and high impact movements to fast and slow rhythms, there is something for everyone. The Zoofari Cafe will be open for food and refreshments. We will also have beer, wine & margaritas available for purchase in the Event Gardens. AVEDA Fundraiser for the Zoo the month of February. Make a reservation for an Elite Mini Facial at La Encantada’s Aveda by calling 520.232.9435. It is a great Valentine gift for you or your loved one and best of all, it supports the Zoo. They ask for a $20 donation in either cash or a check. Pre-sale tickets are $15 for adults and $5 for children (ages 5-13). Zoo Members get $3 off adult admission. 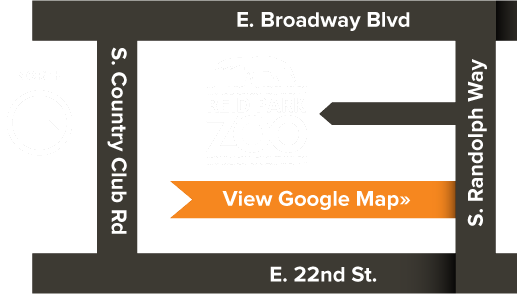 Want to become a Reid Park Zoo member? Click here and save! Day-of-event tickets will be sold at the door for $20 for adults. Funds raised from the event will benefit the Zoo’s mission such as support for education programs, conservation efforts and improvements to the Zoo for its animals and visitors. Click the Register button to purchase advance tickets.